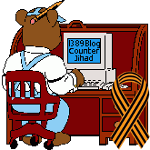 Protest Against Jihadi Recruitment and Propaganda on Facebook — 1389 Blog - Counterjihad! I have never had a Facebook account, chiefly because Facebook fails to protect the security of its users. For those of you who do have a Facebook account, I suggest that you let the admins know that Facebook is being abused as a tool for jihadi propaganda and recruitment. It is time to shame facebook for their continued inactivity in preventing terrorists from using their platform! It is time to publicly call them out. There are many of us who spend our individual free time “reporting” pages, to no avail. Facebook must do a better job of keeping terrorists and their supporters from using facebook to promote their agendas and activities! Please help. Groups/pages above ‘likes’ lead to more interesting pages/groups. Have a Facebook account? Please flag, thanks in advance. View the original and participate in the comments here. Previous post: Why is Georgia allowing a Turkish settlement?